For three bewildering days, London is getting a glimpse of what it will feel like to live in post-Brexit, or shrinking, Britain. In scenes similar to Pyongyang or Bishek, the Great Leader’s portrait has appeared on billboards all over the capital. Neo-liberals in the media had been duly primed and groomed to welcome his arrival. Media outlets from The Times and The Daily Telegraph to the Foreign Office’s web page are all in lockstep on this one. They all cry: “All hail the king, the bold young reformer, the human dynamo!" This, of course, is not our great leader. We have long since abandoned faith in them. Their task is to lead foreigners down the steps of Memory Lane to the Churchill War Rooms, from where the British wartime leader directed the forces of the Empire. It is now a museum under Whitehall. The fanfare is for the arrival of Mohammed bin Salman, the crown prince of Saudi Arabia, to whom BAE Systems (BAE) is desperate to sell its next batch of Typhoon fighters. Without orders from the Saudi Royal Air Force, the lights in its factories in Lancashire would have long since gone out. MBS is the 32-year-old who will decide on which stock market Aramco, the world’s biggest oil company, will stage its initial share offering. If Aramco achieves its valuation of $2 trillion, the sale of five per cent of its shares would be worth $100 billion - a fat prize for the London Stock Exchange. I don’t know which is worse: the MBS roadshow or the band of carpet baggers queueing up to feed at the trough. The mass genuflection taking place in London is hardly the Paradise Lost of Edwardian Britain that Brexiteers like Boris Johnson and Michael Gove dream about when they have achieved their aim of amputating the country from Europe. At the turn of the 20th Century, Britain sent its Indiana Joneses or Gertrude Bells, to map, climb and conquer the disintegrating shards of the Ottoman Empire. Bell chose the emirs Britain would deal with. People like her and TE Lawrence created countries like Iraq, although she quickly tired of her role. "You may rely upon one thing," she said. "I'll never engage in creating kings again; it's too great a strain." Bell promoted Abdul Aziz Ibn Saud, an emir who had captured the Nejd region, and he eventually became the founder of the Saudi kingdom. Today the traffic between the two kingdoms is mostly the other way. 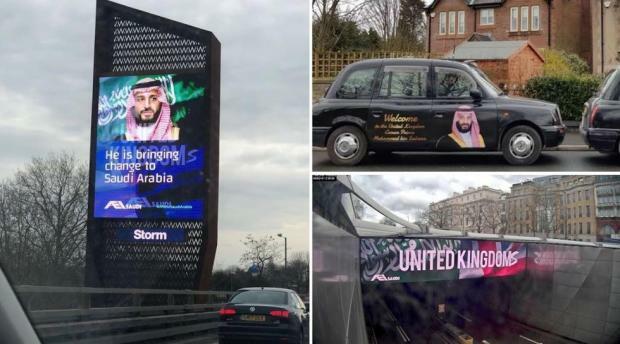 When the "wali al amr" (literally the "lord of all our affairs"), the owner of all the land, oil, assets and the people of Saudi Arabia, comes to London, it is to inspect his assets and to dangle contracts in front of his tradesmen and hawkers - which is what the British have become. Even they might wince at the salary that this young man will pay himself when he becomes king - if he has not do so already. A source close to the Saudi royal court tells me that that the king’s allowance per month is currently running at 3 billion riyal, which is $800 million. No, you have not misread that. Eight hundred million dollars. In one month. The prime minister of the United Kingdom is paid £150,402 a year, excluding the value of her flat in Downing Street and other official residences. The president of the United States of America takes $400,000 a year plus other allowances. But the Saudi king pays himself 2,000 times that sum - in one month. This small fact is just one indicator of the trouble we are storing up for ourselves when we build our polices, strategic industries and regional strategies on the sands of relationships with despots such as these. Other warning lights are flashing. The prince, hailed as a "bold economic reformer", is putting proven economic reformers such as Amr Dabbagh in prison on alleged corruption charges, then torturing them until they cough up their assets. Dabbagh, who was head of the Saudi Arabian General Investment Authority (SAGIA), was credited with moving the kingdom from 64th to 11th on the World Bank’s list of business competitive nations in 2010. There is no way of testing the corruption claims against Dabbagh, because there is no due process, no lawyers, no courts, no hearings and no presentation of evidence. The committee set up to lead this purge was created outside the purview of the Saudi legal system, such as it is. Will the nightmare that Dabbagh has been subjected to encourage foreign investors to place themselves and their assets in the jaws of a crocodile called MBS? I am not sure they will. The crown prince's mood could change at any time. What he is doing is a recipe for capital flight. Foreign workers are already leaving in droves, leaving thousands of menial jobs unfilled. The prince, who is hailed as a social reformer, has executed more prisoners than ever before. According to the British human rights campaign group Reprieve, 133 executions have taken place since MBS became crown prince compared to 67 in the eight months before. Ali Shihabi, founder of the Arabia Foundation who was put up to defend the regime on the BBC World Service’s Newshour that I participated in, saw no problem in this. He said that those executed were drug ringleaders. He claimed no one had been executed on political charges. In January 2016, 47 people were executed in one day. Several of these were juveniles. One, Ali al Ribh, was convicted of taking part in demonstrations calling for political reform, when he was 17 years old. As we have seen time and again, Britain cares little for human rights. It is the stability argument that plays strongest with its foreign policy elite. Here again, the gap between image and reality is dangerously wide. I will not write here about Yemen or what happened to Lebanon’s prime minister Saad al-Hariri. A better place to gauge the regional instability emanating from Riyadh is Jordan, which is another longstanding British military ally. No one in Amman will speak on the record about the damage MBS is currently doing to their kingdom. But plenty of informed sources in official circles will speak off the record about their grave concerns. A third added: “The relationship with Saudi Arabia changed considerably politically and financially. Politically, Mohammed bin Salman and his father were never very close to the Hashemites. King Salman does not have any affinity to the Hashemites that his other brothers might have had. So on the political front there is no affinity, no empathy. Jordan has other grievances with Riyadh, apart from money and foreign policy. Seen from the perspective of the Hashemite royal family, the House of Saud is once against trying to displace their role as custodian of the Muslim holy places in Jerusalem. It took Mecca and Medina away from them during the early 20th century. Now it is trying to do the same with Jerusalem. In a country where Palestinian refugees from the West Bank form 60 per cent of the population, bin Salman’s offer to Donald Trump to take the Palestinian right of return off the table is an affront. Bin Salman’s attempts to bully Mahmoud Abbas, the Palestinian president, into swapping East Jerusalem as the capital of Palestinian for Abu Dis, a suburb on the outskirts of the city, have also not gone down well in Amman. There is not a Palestinian leader on the planet who could accept this. But the Hashemite kingdom is trapped. It cannot roll over and become Riyadh’s Bahrain. But nor can it confront its unstable southern neighbour overtly. Jordan is going through a real financial crisis. It depends, for example, on the remittances of those 500,000 Jordanians working in Saudi. Feelings in Amman are running high. 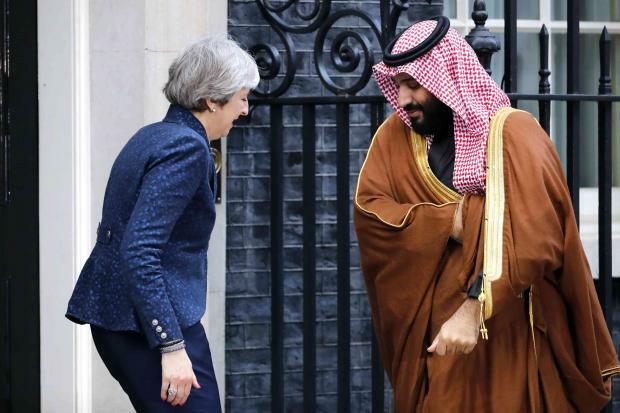 They are but a snapshot of the mayhem that bin Salman is creating among Britain’s Arab allies. In a meeting attended by the Egyptian TV host, Lamiss Elhadidy, bin Salman described Turkey and Iran as forming part of a "triangle of evil". Whatever you think of either power, this is not the language of a future leader who can play a stabilising role regionally. He is challenging both the foremost Sunni state in the region and the Shia one at the same time. It is the language of war. Jordan, whose special forces have been at the forefront of the fight against the Islamic State (IS) group in Syria and Iraq, can not be described as a country promoting or funding the Jihadis, as indeed Saudi did. It regularly attempts to disrupt the work of, or imprison, its political Islamists, too. 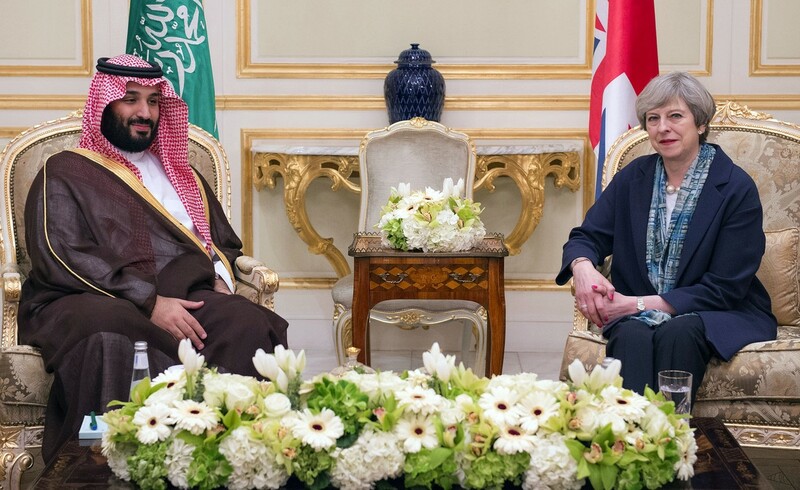 So when May gets up in the Commons and says the relationship with Saudi is in the British national interest, how does she define that interest? Does she really understand what is happening around Saudi Arabia? Does she care? Under this leadership, Saudi is a source of regional instability. Unless it changes, the kingdom under this prince-turned-king could easily become the next state in the Middle East to unravel. This is the fire that Britain is playing with, by endorsing this man so fully and so cravenly.